Reminiscing & Dreaming – Mexico! Dawn, Hannah and I made it home from our wonderful trip to the big city of Mexico. This trip reminded me of why God called me to serve in Mexico those many years ago. I still remember how the Lord stirred my soul as I first met and interacted with the people. Even with my limited Spanish on my first trip I fell in love with the people and the country. I realize that all these years later that love is still there, and that my family shares this affection. God gave me the great privilege of attending seminary at the International School of Theology (ISOT) affiliated with Cru, at that time Campus Crusade for Christ. While I was at the seminary one of the requirements was that we go on a cross-cultural missions trip. 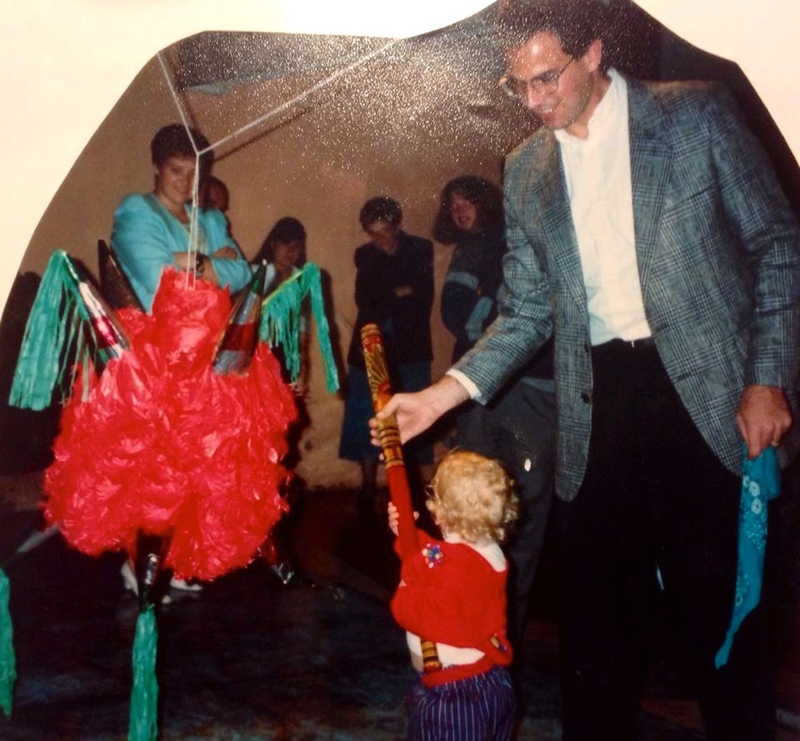 A group of about sixteen of us, led by Dr. William Iverson chose to go to Mexico in the summer of 1985. God gripped my heart way back then. That’s how it began, but I’m glad that I’m not the only one in my family that loves Mexico. It was fun to watch Dawn and Hannah connect with old friends and rediscover the city. When we lived in Mexico the city was referred to as D.F. or the Distrito Federal, now it’s called Ciudad de Mexico. There are signs all around the city that have an abbreviated CDMX for Ciudad de Mexico. As Dawn, Hannah and I reconnected not only with the city, but with many friends from days gone by I felt the Lord tugging at my heart. It warmed my heart to be with such wonderful and loving friends again. My time connecting with old friends and some new one’s as well caused me to begin to dream and wonder how we could minister and encourage our friends who live here? I’m not sure what the Lord has in store for us, but there are so many needs in Mexico City, so many opportunities I would love to have a stronger connection with the people. You can pray that the Lord will guide and lead us. There is still so much work to be done on the border and in the Baja that I can’t let up on that. 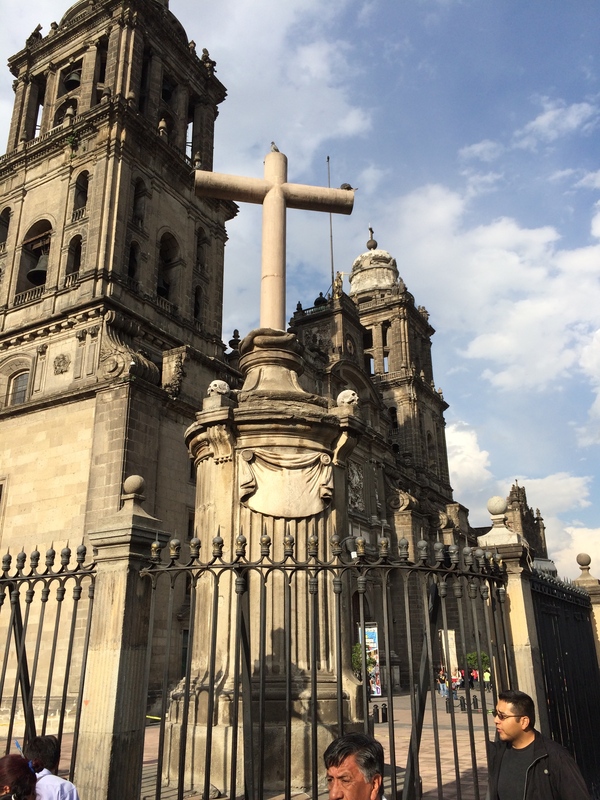 Our tag line for our ministry is the Border, the Baja and Beyond, and Mexico City is part of that beyond! 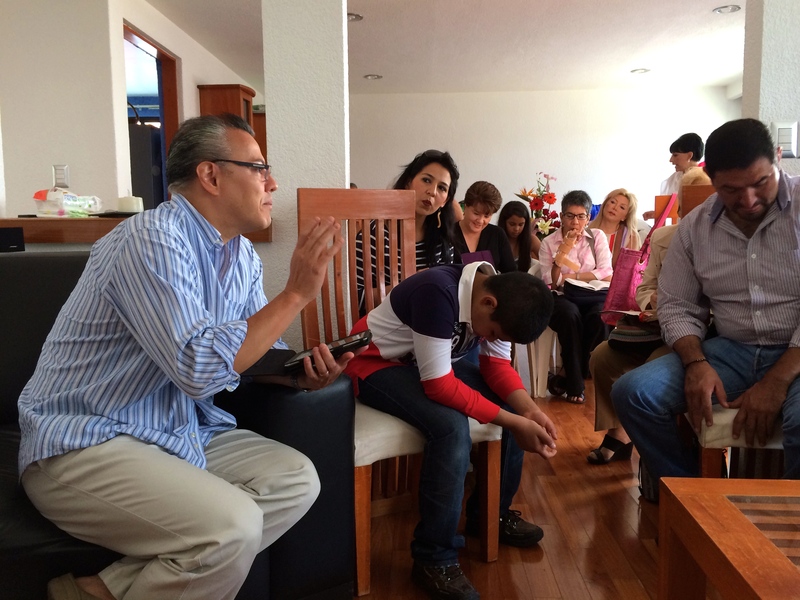 We so long to see the gospel extending out throughout the whole country of Mexico. O Lord, continue to lead us and show us the way! Thank you for this wonderful trip and for your tug at our hearts. Strengthen the hands of those that our weak. Be glorified in this great city, and this great country! Hallelujah! Here are some thoughts from my heart to my David Jr. right after I hugged and kissed him goodbye, sending him on his way to Mexico City for the first time in 13 years! …. My David, I’m so excited for you sweetie! I’m praying that God blesses you there in many ways…way beyond what you can even ask or think! We will be missing you here son, but we are glad we can bless Mexico City and Chivis’ family with you! Please give everyone there big hugs for us! You were always ready to take on the day, and excited to discover what God had in store for our day. You loved to be able to leave the house and explore the world of Mexico City; it’s amazing people, places and events, and we can’t forget the Mexican food…. and hot chili candy…that filled your little life with great adventure! From the very beginning of your little life you began to change your world for the better; with your joyful, expectant heart, your desire to serve others, and your love for people! Every time the doorbell rang you were excited to be a little host. You wanted to greet everyone with your gregarious and welcoming smile and personality! You would then run to the kitchen to get out a big bowl or serving tray so we could share some chips or other yummy treat with our guests. You always wanted everyone to feel welcomed, loved, and to have fun with us in our home! Your love for people and excitement about life was contagious from the beginning of your little life! Blessings on your return to the roots of your childhood, son. We are grateful to Mario Silva and Silvia Arellanos for this precious and generous college graduation gift of a two-week, all expenses paid, trip to Mexico City! May God richly bless their family for their gracious generosity of this amazing gift to you, our first college graduate! Sending a hug your way! P.S. 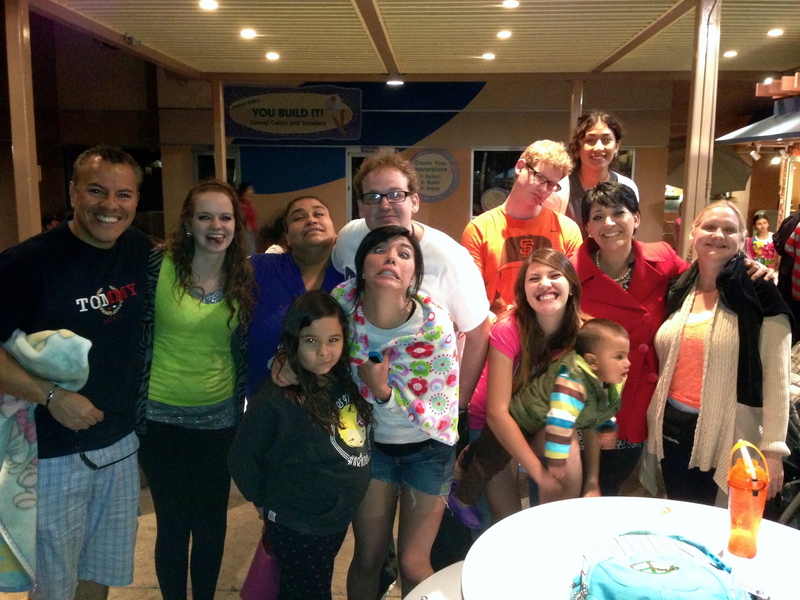 Pray for the group from Denver, Skyview Church that arrives today. We will be working in Ensenada, Mexico this week with the Iglesia Nueva Jerusalén. The Gospel is in the House! 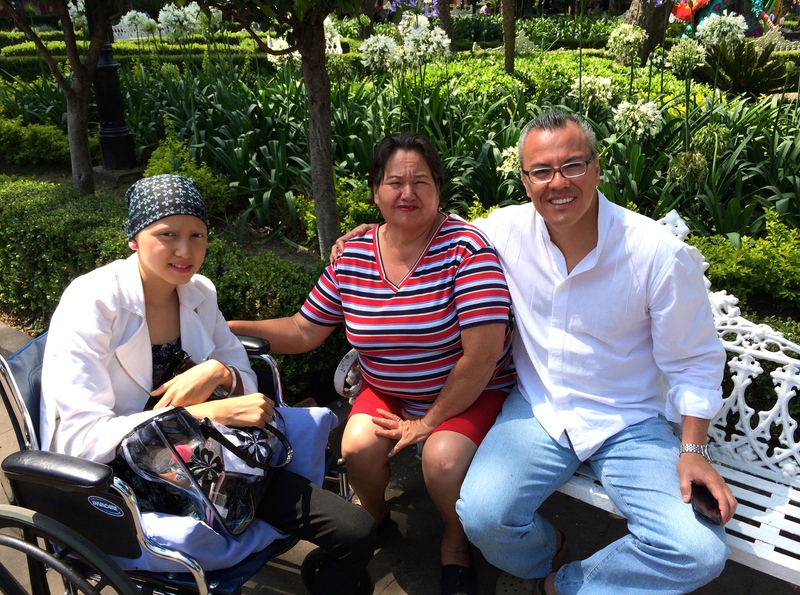 I had a wonderful time when I was in Mexico City last week. I loved the opportunity to see the city after so many years, and to reconnect with some of my friends. Dawn and I first met Mario and Silvia Silva 19 years ago. We were attracted to them and they become close friends. They joined us in planting a church in the southern part of Mexico City. The Lord used that experience to give them the bug for starting new works. Mario likes to blame me for getting them involved in church planting. Mario and Silvia are both very gifted and have a heart for the lost. One of the things that was so invigorating on this trip was watching Mario and Silvia in action. Mario works for a pharmaceutical company, and he and Silvia are super busy. Living in such a big city adds to the complexity of their lives. 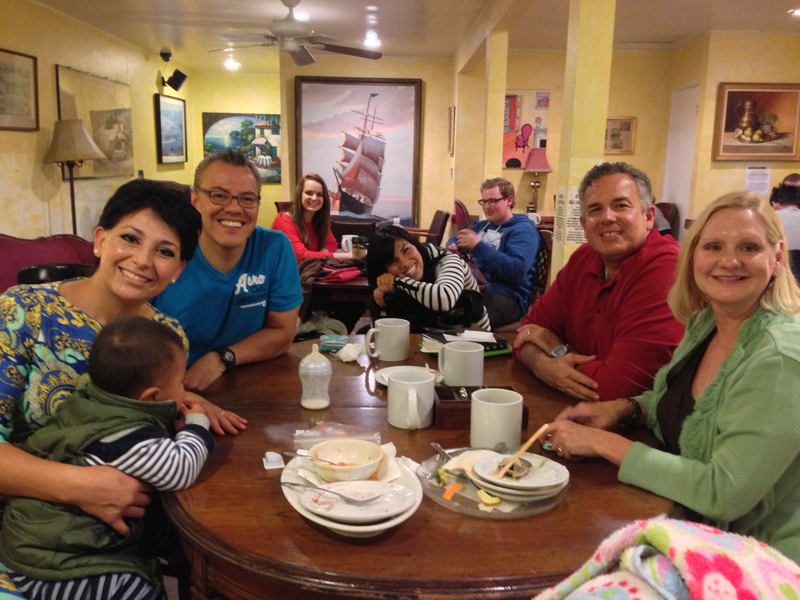 Despite everything else they are doing, they have found time to lead two house churches. Mario and Silvia have church in their home every Sunday with about 30 friends. On Wednesdays after work Mario leads another group. After a muy sabrosa breakfast with Mario and Silvia and the family Mario felt led to share the gospel with a grandmother and her granddaughter, who were in the park across the street. I mostly just watched and prayed as Mario loved on these people. Mario saw Evelyn and her granddaughter (I think her name was Emily) and he felt like the Lord was leading him to share the gospel with them, because he noticed that the Emily was sick. Emily was in a wheelchair, and she lost her hair due to cancer. Cancer also took her leg. Evelyn and Emily were very friendly, and open to the gospel message. When Mario asked them if he could pray for them, and if they would like to pray to receive the gift of eternal life. They said yes, and Mario led them in prayer. He asked them if they would like to come to his church, and they said, yes! Now Mario is working on picking them up before church so that they can attend. Then on the Sunday I was with Mario and Silvia at their house church. It was so encouraging to see Mario leading the group. Silvia and their daughter, Chivis were loving on and ministering to the children. They had a visitor join them, so after the service Mario had the opportunity to share the gospel with their new friend and she too prayed to receive Christ. Dawn and I have been praying that Mario and Silvia could join us in the work here on the border, but so far the Lord has closed the doors on that. Yet, it’s so good to see how the Lord is using them where they are at. We believe in the Lord’s good and perfect timing he will bring us the right people to serve with us. In the meantime we just keep on looking to him and trusting him. I Left My Heart in Mexico City! It’s hard to believe that it’s been so long, 12 years since I’ve visited this city, which I once called home. I remember how hard it was to leave. Even all these years later we have some very dear friends here. God has used this trip to remind me about many of the things that first drew me here. The people, the culture, the food and the physical and spiritual need. I still love those things about Mexico. This city can be intimidating. It’s one of the largest in the world with 25 million plus. I was a little nervous about returning. You might remember that with all the good experiences I also passed through some difficult events. Once I got here and I was able to re-familiarize myself with the city, then I started feeling more comfortable. All the good memories began to come back. I realize now that I left my heart in this city. I invested almost a decade of my life to it and it’s people. Two of my children were born in La Capital. I didn’t have all the success here that I would have liked, but God taught me many things, and I was able to make in a difference in some people’s lives. Thank you Lord for that gift! While here I’ve stayed with our good friends, Mario and Silvia Silva. It’s been so good to be with them. They are some of our dearest friends. I still wish there was a way for us to live closer and to minister together. I’ve enjoyed rediscovering some of the city with them, and reconnecting. They’ve started a house church, and it’s encouraging to see how the Lord is using them here. I pray that their ministry will grow. I still pray that God will show a way that we can minister together. 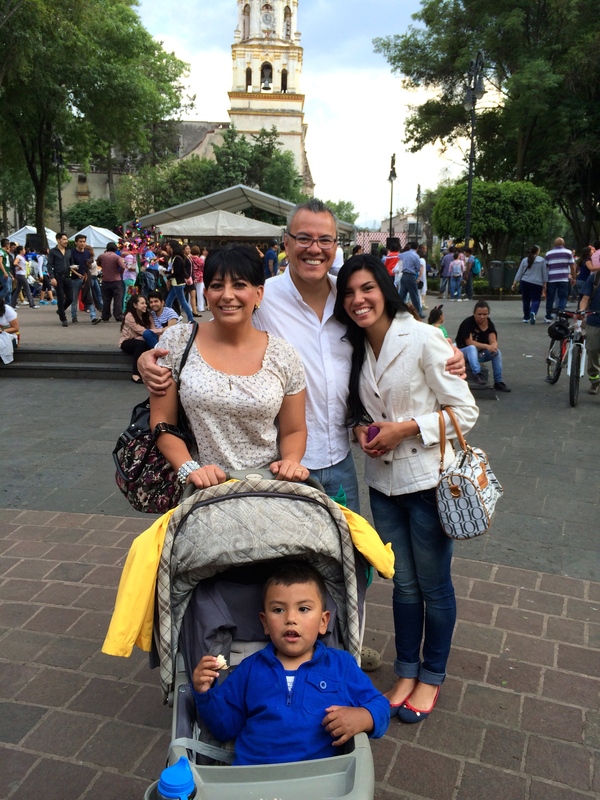 In my next post I will write about how I see God moving in Mexico City, and especially through my fiends, the Silva’s. Mario and Silvia Silva along with their three children, Silvia, Cesia and Daniel just left on Sunday. They visited us for 10 wonderful days. They were exhausting days, but great all the same. Our family loves the Silvas. The Lord has done a good work in their lives, and in their family. Dawn and I were involved in a church plant with Mario and Silvia in Mexico City in the late 90’s. We became good friends during those days. The Lord used that time to give Mario and Silvia a heart to plant churches. 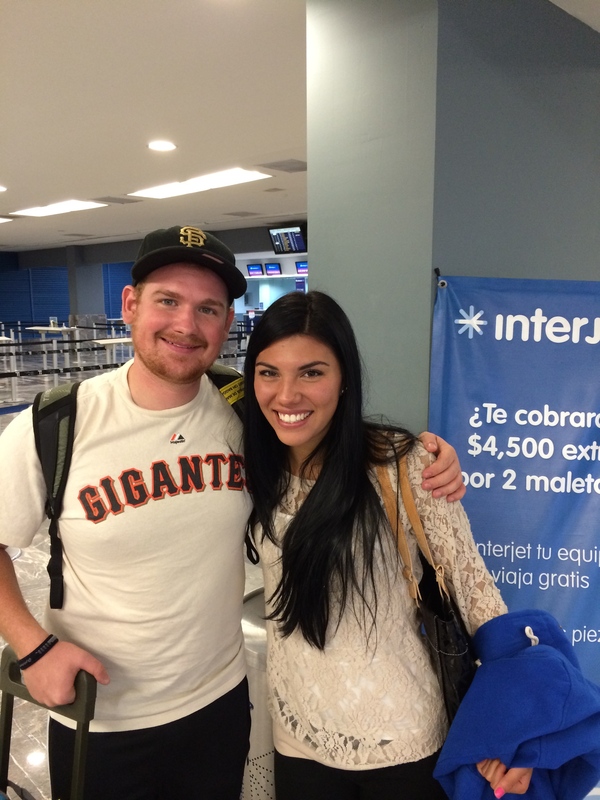 After we left Mexico City we didn’t stay in close contact with Mario and Silvia. The Lord used the Silva’s daughter, Silvia or “Chivis” to reconnect us. Mario reminded me of how Chivis was going to have a big Quinciañera party (when a girl turns 15 in Mexico they throw a fiesta). Then Chivis changed her mind, and decided she wanted to reconnect with us, and come live with us for six months. She lived with us in 2010. God used that reconnection to spark something new. It rekindled our friendship. We began to dream about the possibility of working together on the border. 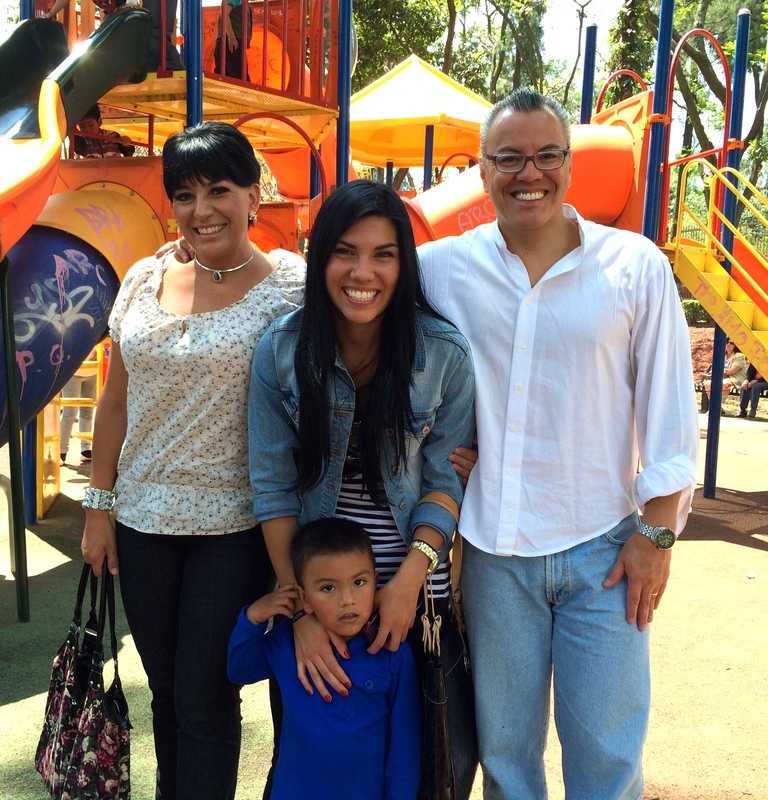 Mario and Silvia have worked as bi-vocational church planters in Mexico City. They call their ministry Vida Abundante or Abundant Life. Mario gets very passionate when he explains how most Christians are not experiencing the Abundant Life that Christ came to give us. They teach the Bible in such a way that those that are learning begin to understand how they might experience the abundant life. Their heart is to see that ministry expanded on the border. Dawn and I love their passion. When we were together they shared about some of their dreams. What they hope to see the Lord do here on the border. We came away inspired and hopeful about what God might do! In order for them to be involved with us here, they’ve got to get a visa. Join us in prayer as we work with them on figuring out how to get the correct visa. We are learning it’s not an easy thing. God is the God of the impossible, so we will trust that he will bring it to pass. We just have to wait on his perfect timing. If any of you have experience with a religious workers visa or another type of visa please send me a note. A Surprise Visit from Jonny Boy! Jonny Boy the night he arrived for the fun surprise! 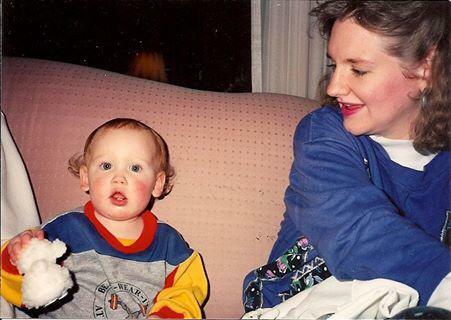 Last night Dawn and I said a tearful good-bye to our son, Jonathan as he flew back to Colorado. Before that was the wonderful surprise visit! Jon called me last week, and said he had some extra days off, because of the Martin Luther King holiday. Since Hannah and our friends from Mexico were also going to be here at the same time, I thought maybe we could take advantage of Jon’s days off. I furiously searched the internet to see if I could find any affordable flights. After some digging I found a reasonable flight if he flew into the John Wayne airport in Orange County. My son has a fun personality. I think he got that from his mom! 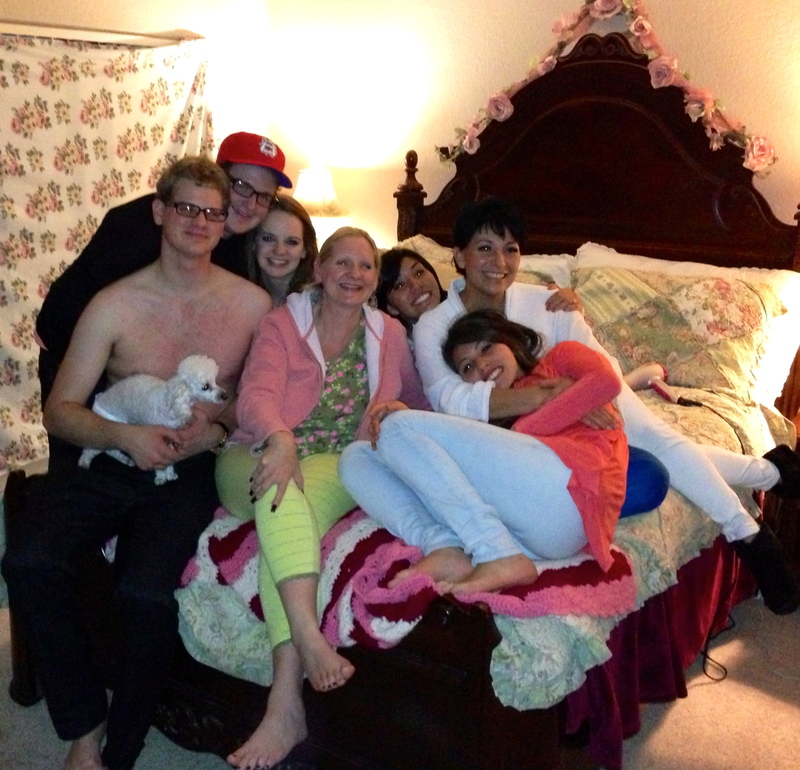 😉 He said, “don’t tell mom, let’s surprise her.” So we decided to surprise Dawn and our friends from Mexico. David and Hannah took the girls, Silvia and Cesia, to a nice mall in Irvine near the airport. I took Dawn and our friends, Mario and Silvia, out on the town. I told Dawn I had a surprise for her, but she thought the surprise was some of the places I took them. David and Hannah blindfolded Silvia and Cesia before they picked up Jonathan at the airport. They were thrilled when they saw Jon. Then they drove back home. It’s an hour and a half drive. It was a late flight, and they didn’t get home until about 12 AM, so I was trying to figure out how I was going to keep Dawn up. By the time they got home she was in the bathtub. It took me a little while to get her out of the bathtub for the fun that awaited. We told Mario, Silvia and Dawn to come downstairs for a surprise. David has a flair for the dramatic, so he had us all go outside for a fashion show as the girls showed us what they bought at the mall. Dawn and the Silvas were a little disappointed there wasn’t more to the surprise. Meanwhile, Jonathan snuck upstairs. When we went to go back in the house David had mistakenly locked the door, which added to the drama. Finally, we made it back in the house. Jon left a trail of his clothes for clues. We somehow missed the clues, but when we got back upstairs there was Jonny Boy sitting on a chair, drinking coke in his boxers! Wow, his mom was very surprised and overjoyed! The Lord gave us a wonderful five days together. It was the first time we’ve had our whole family with us since we left Colorado. What a blessing! Our house has been busting at the seams with the Silva family and our family. There’s been much activity and fun late into the night! Thank you Lord for the fun kids that you’ve given us! Thank you for a great visit with our son. I just wish it wasn’t so hard to say good-bye.